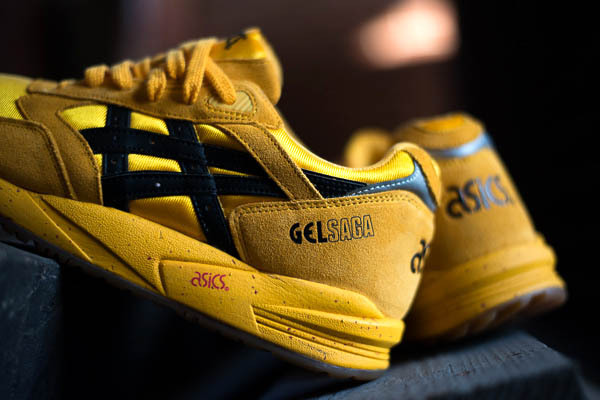 ASICS Gel Saga II - "Kill Bill"
The Kill Bill-inspired ASICS Gel Saga II is beginning to arrive at retailers. 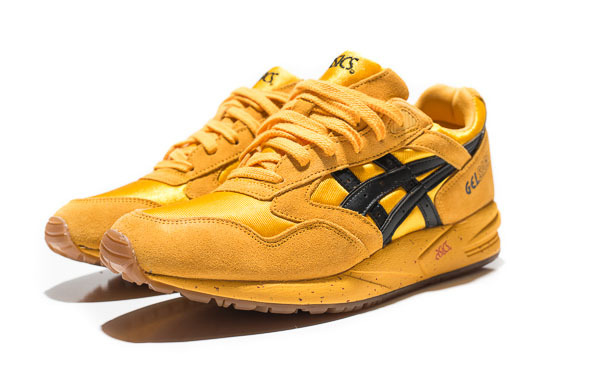 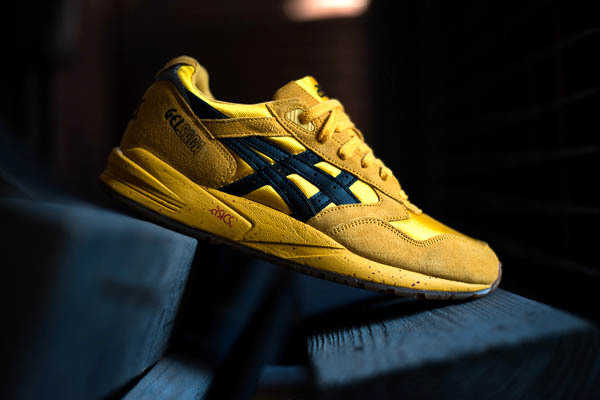 Inspired by the Onitsuka Tiger sneakers Uma Thurman wears in the Quentin Tarantino's film KIll Bill, this latest version of the classic Gel Saga II runner from ASICS gets a yellow and black colorway, complete with blood splatters on the midsole and insole. 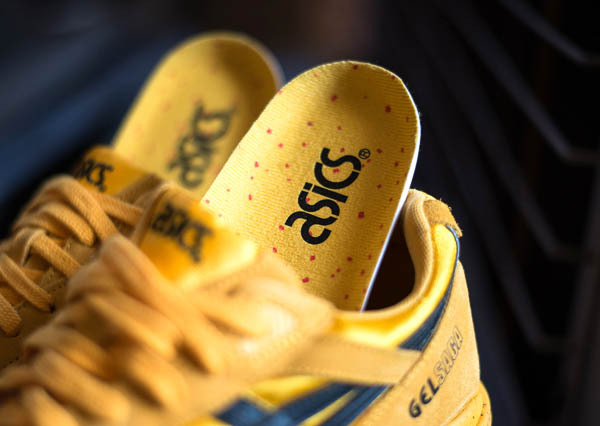 The shoe features a yellow suede and textile upper with accents in black on top of a red-splattered midsole and gum rubber outsole. 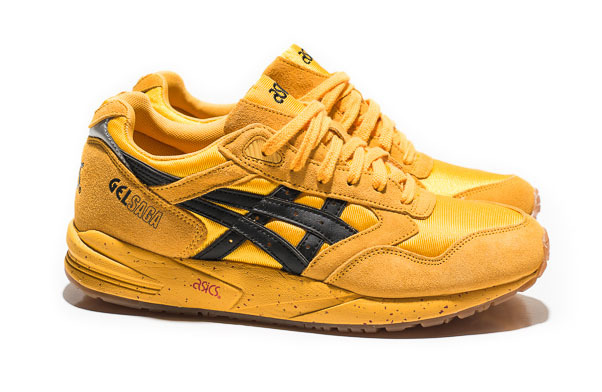 Look for them to be arriving at select ASICS retailers now, including Politics.